Got a Sky+ or Sky+HD box and looking to copy the contents from the built-in hard-drive? Here are your options. The Sky+ boxes are great for recording hours of TV, but what if you want to copy or archive TV shows, to free up space on the hard drive? We look at the various ways to do this, and answer your common questions on the subject. Can I copy from Sky+ using USB? Can I copy from Sky+ using the SATA connector? No. Many Sky+ and Sky+HD boxes have a SATA socket at the back. SATA stands for Serial Advanced Technology Attachment and in the computing world relates to hard disks and data transfer. As some Sky+ boxes come with SATA, you’d be forgiven for assuming that you could use this socket to copy content from your Sky+ box to an external hard drive, or connect a second hard drive to increase storage. Can I take the hard drive out and copy files? You can copy content from a Sky+ box onto DVD by connecting the output of the Sky+HD box to a stand-alone DVD recorder. Connect a SCART lead from the Sky+HD box to a spare SCART socket on a DVD recorder. Note that some content, such as Box Office movies, can’t be copied in this way, to prevent piracy / unauthorised copying. If you’re looking to get TV shows onto your PC or Mac, then you can connect the Sky+ box up to your computer, and get your computer to record the shows. You have to do this in real-time – i.e. an hour’s worth of content will take an hour to copy. You can buy a fairly cheap USB dongle that allows you to watch TV on a PC. To watch TV, you need to connect a TV aerial to the dongle, then use software on the PC to tune in to the TV channels. If you want to watch / record Sky on a PC using one of these USB TV dongles, then you can connect a co-ax aerial lead from the back of the Sky box to the dongle’s aerial socket, then use the software to tune in to the RF channel. A popular choice for USB capture products that work with Sky is the Dazzle range from Pinnacle, pictured below. These are available from Maplin.co.uk or Dabs.com. Sky+ boxes allow copying of multiple programmes at a time. To copy multiple programmes, go into the Sky+ Planner, highlight a programme, press the right arrow button, then press the green "Copy" button. Select each programme you wish to transfer, then use ‘Copy’ to start playback of each programme in order. Some channels have programmes that switch the 16:9 screen format to display a central area with black space to the left and the right. This has been noticed with the Sky + HD box HD channels. To avoid recording these in the 16:9 format, if that’s currently been set using the SERVICE button then zero, the Sky + HD box can be switched to the 4:3 format instead for both outputs, then press the green button to save the settings. After the switch, press the backup button twice to exit, till you get to the main TV display, which now appears in full screen width, even if not a perfect view, still easier to view than before. Please test and make sure you are OK with that 4:3 view. After the playback, or the recording to a DVD Recorder or a VCR, or some other external recorder previously explained in the Radio and Telly forum discussions, remember to switch back to the 16:9 screen format and to save that option for normal widescreen TV displays. Even with the basic Sky + box, copying is safer when not mixing the widescreen with the non widescreen, such as widescreen films mixed with standard TV shows. Regardless of what the info says is widescreen or not, it helps to preview and fast forward the programmes before a full rewind to the start and then setting up the left arrow then green for COPY option… That way you know what will work for all your overnight playbacks. For Sky + HD recordings, the HD channels can use up more storage. So, when possible, record and copy your HD shows quickly to clear the storage for future use, as well as permitting storage for the Timeshift playback to work, because when under 15% remaining, the playback may suddenly stop being available. You may wish to rewind, only to see a screen message to tell you it’s disabled. You must also try to view programmes and record them at the same time to the DVD Recorder etc, till safely done, perhaps also safely saved to DVD disks, then deleted from the DVD Recorder’s hard drive. Another alternative is recording to DVD disk instead of the DVD Recorder’s hard drive, if your recorder has proved reliable for this. DVD disks can be bought in bulk yet depend on the recommended speed and format eg single use in either DVD -R or DVD +R, or re-recording disks such as DVD -RW or +RW. When buying, remember some websites offer free delivery and that sites like play.com have regular discount deals to be compared. Perhaps as low as £11 for 100 disks eg Maxell DVD -R 16x speed disks from play.com for some recorders that accept that speed and format. Some recorders create helpful thumbnail images to help identify each recording. The Sky + HD quality is not full HD quality as yet, so remember to use the XP or SP quality on recorders for important recordings, for more lines per screen view and maybe the LP speed for the rest e.g. up to 4 hours per disk. The Sky autopadding allows a few minutes before and after recordings, but some recorders can split multiple recordings for a session up to 12 hours overnight. You may have to edit the title name and select split or divide points to get just the programmes, or may decide to use the delete feature to delete the commercials, etc. Some may like the programme info to be recorded as well, so use the info button to display details temporarily. If ever cancelling Sky subscriptions, in full or just one channel, remember the Sky + hard drive may still have recordings you need to get copied and deleted first. The 30-day cancellation grants lots of time to attempt to control this situation before losing your favourite films and TV shows. When your storage space is running low, remember that you may be watching a recording for half an hour and yet know there’s no need to keep that part of the show. You can use the R button to cancel the recording, then use the TV GUIDE button, then green for Planner and find and delete that programme or film segment to free up space for future recordings. Even so, don’t forget to get back to your channel and your show and press the R button again to start a new recording of that show from part 2, for example. Can you recommend any specific DVD recorder for recording from my Sky + box or will any do? Can I record MUSIC from the Sky box to a memory stick? Not video, just sound. Re copying and archiving from a Sky Box – we’re thinking of leaving Sky but there’s a couple of things we want to keep. I’ve read through all your suggestions and it seems way too complicated to me! Any idea if there’s people around who will perform this service in return for payment? Watch the program that you want to record on a PC/Laptop via Sky Go and use a screen recorder program to save it as a video file. Applian Technologies screen recorder works a treat and if you don’t want to watch the program, once set up it will record in background mode so that you can continue to use your PC normally. It records as .mpg and will automatically convert to other formats .avi, .mp4 etc. after recording is complete. if you have a dvd with a hdd that is connected by ethernet you could copy to your computer. Panasonic dmr recorders have that function. Hi- I can do this for a single recording from Sky+box to HDD on DVD recorder. However do I set it up to record multiple programmes from sky+ box to HDD – would be much quicker for me just to set it up before I go to bed at night ! Any advice would be appreciated. I want to copy some recorded clips from my Sky + HD box and save them on my laptop. Following advice on the site I bought a Dazzle video capture box. It worked but the resolution was poor, doubtless due to the digital to analogue conversion in the Sky box and the conversion back again in the Dazzle box. So following later advice I bought a Hauppauge HD PVR 2 Gaming Edition box and a 1 input 2 output 1080p full HD HDMI splitter box which according to customer reviews on Amazon would disable the HDCP. But no luck. I just got a green screen in the capture software on my laptop. It makes no difference whether I set the software up for XBox or Gaming PC. I downloaded the latest Hauppauge software. 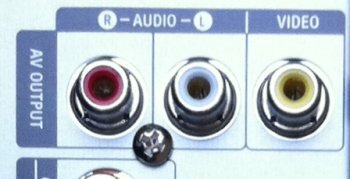 I swapped the splitter output cables over and the TV works fine on both splitter outputs. Still no luck. Any advice would be most welcome. Hopefully you’ve solved your problem, but if not I can help! I wanted to do the exact same thing, also bought the Hauppauge HD PVR 2 Gaming Edition box, and tried out (and returned) a few different splitters. I finally found the right one (which also turned out to be the cheapest!) online at http://www.homestudiostuff.co.uk. It’s the HDCP BYPASS SPLITTER (£17). Cost me a total of £25 (incl. VAT + shipping) to get it shipped to London. Hello, I have a sky plus hd box which has just become faulty however, I have lots of planner programmes I would like to keep. If i send you the box or just the hard drive, will you recover these for me for a fee, maybe onto discs if possible. We purchased an ‘Elgato Video Capture’ that utilses the RGB pins (Red, White and Yellow) and then passes this into a computer via USB. We have two of them and this works very well for our MacBook Pro. The only drawback is that the output has to be watched at the same time. The results are very good however and if the choice is to have programmes or not have programmes I’d choose this. Nowadays you can use a cheap splitter and an HDMI capture card to capture in HD, which is better. The HDMI splitter must be v1.3b and not v1.4 though. I got the whole kit working for around £45. Tools required (confirmed working in full HD). Hi – have tried to copy a programme from my sky+ box using a Daewoo DFseries video/DVD recorder without success. Your recommended procedure is the same as in the instruction manual so I am mystified! Scary of sky box is connected to av2 of recorder, and recorder av1 is connected to scart on tv. Input selection of DVD recorder is set to av2 and SP. Unformatted blank RW disk in recorder requests wait for formatting which completes then starts to record. Releasing pause on playback of desired skybox programme shows the programme seems to be recording but I cannot play it back at the end of the recording and the disk information on screen says it is empty! I had the same problem . with trying to get the menu on the DVD recorder on the TV then trying to get the highlighted planner programme to copy. I had 2 scart connections and 2 aerial connectors!! I think my DVD recorder ( which was bought on ebay as working but without tuner!) was faulty and luckily the seller is letting me send it back. I’m a bit worried that if I purchase a new recorder the same is going to happen. John K said in January 28th 2015 that he downloaded content from Sky Plus to external hard disk. Could anyone please tell a newbie how to do this and what electronics are needed. I have a Freecom DVD RW Recorder and am looking to record tv shows recorded on the Sky+HD BOX.. I am not looking for HD quality SD will do but the Freecom dvd recorder doesn’t have the old scart socket it just has the modern usb socket on the rear. Will a scart to usb lead still record the programmes to discs ? Does anyone know if the DigitNow! 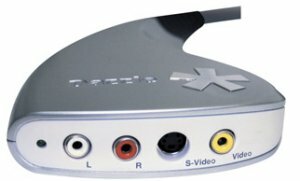 Video to Digital Converter works with a sky + box? It looks very user friendly… Thanks for any help.